There is a lot going on about Linda Ikeji pregnancy saga as she receives more insults front, back and center especially because she has preached celibacy which she now seem to cover up for. Kemi Olunloyo was the first to attack her after showing pregnancy bump on Social Media. Although, her point was not about celibacy, but alleges the renowned blogger may have lied about her pregnancy – an allegation she had debunked after showing a naked pregnancy bump days after. Now, her celibacy preaching may have gotten her into more problem with religious personalities now wading into the matter. Christian Author Slams Linda Ikeji For Getting Pregnant Before Marriage After Preaching Celibacy. Linda Ikeji has been lambasted by a female Christian author for getting pregnant before marriage. 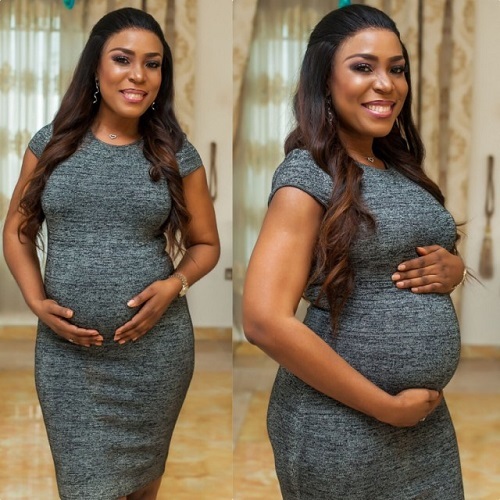 A female Nigerian writer has taken on celebrity blogger, Linda Ikeji slamming her for getting pregnant before marriage after she had preached celibacy. Christian author, Funto Ibuoye described Linda as a hypocrite. According to her, it is a case of double standards on the part of Linda who preached celibacy to young girls, then not living up to the expectations of the many young girls who see her as their role model. She went further to say that Linda Ikeji is not God and God has not changed his laws to suit his generation.